E4E-New York Hosts GOTV Launch Party! Last week, educators from across New York City came together to discuss why voting in the upcoming UFT leadership election matters so much. Los Angeles educators have recently shown us the power of united voices demanding change for their students and profession. We believe that strong unions require engaged members but in the last UFT election, just 23% of NYC educators voted. This participation is simply not enough to maintain the strength that our students, colleagues, and profession deserve. E4E-New York members know that public schools are at their best when strong unions are fighting for teachers and students with the full participation of their members. This idea was at the core of several meaningful discussions we had throughout the night. First, we heard the powerful story of Bronx educator Danielle Felicissimo, who shared with us her personal experience with her family and important role a union played in covering her father’s medical costs.Then, we heard from Ruth Solage, a Queens educator, who shared her early experience with the union that has kept her in the classroom for years. 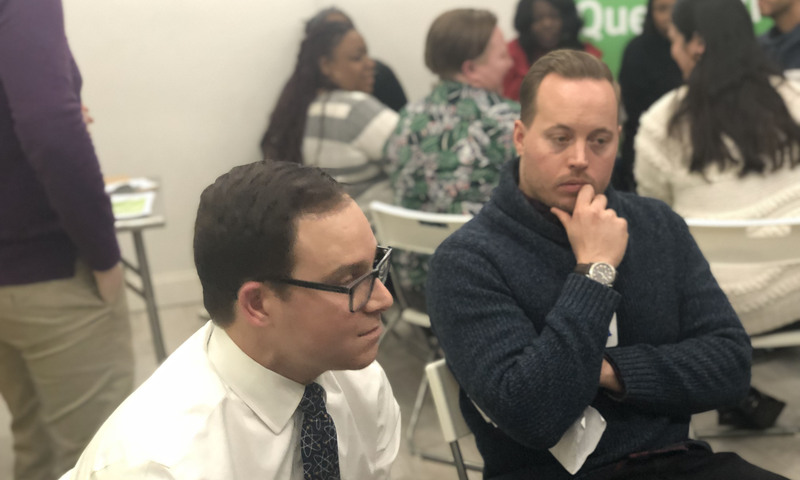 Later in the evening, we broke into groups by borough and educators crafted plans to increase voter engagement in their school communities. This was an opportunity for teachers to think about their personal role in ensuring that a strong union is backed by a vibrant democracy that fights for their students! 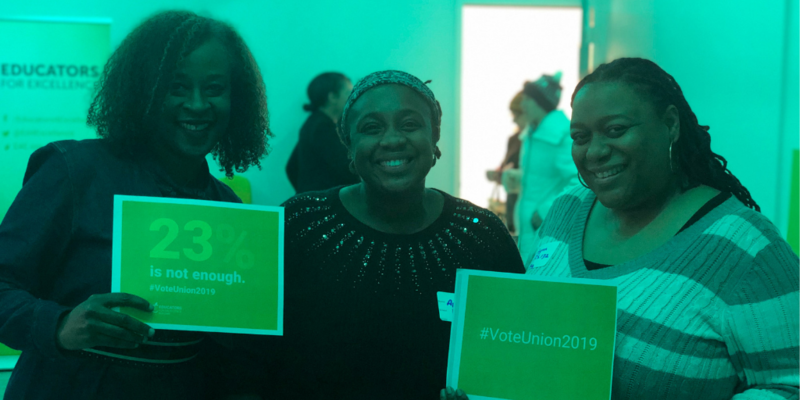 To close the launch party, we heard from Tianitha Alston, a Brooklyn educator, who wrapped up the evening by sharing how the dedication to students and teachers she witnessed from her union chapter leader inspired her to run for union office in the most recent election. 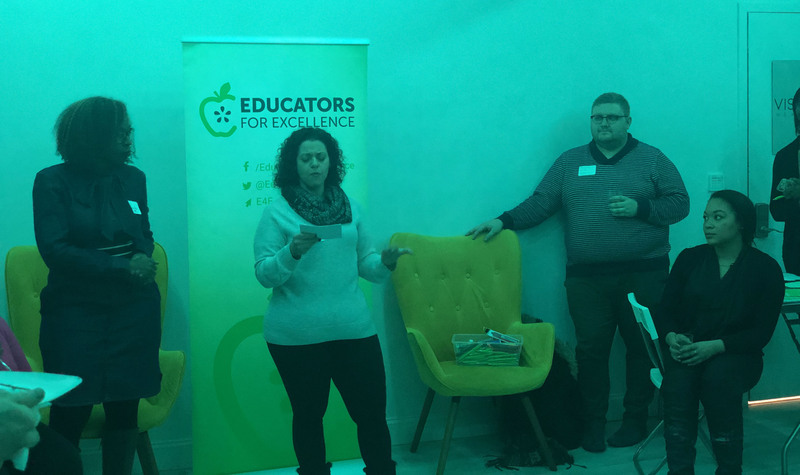 It was a powerful night, and, despite the frigid weather, E4E-New York educators are excited about kicking off this campaign and ensuring that our union is backed by a vibrant and engaged democracy. You can take action right now to strengthen our union by click here and pledging to vote in the upcoming UFT elections!